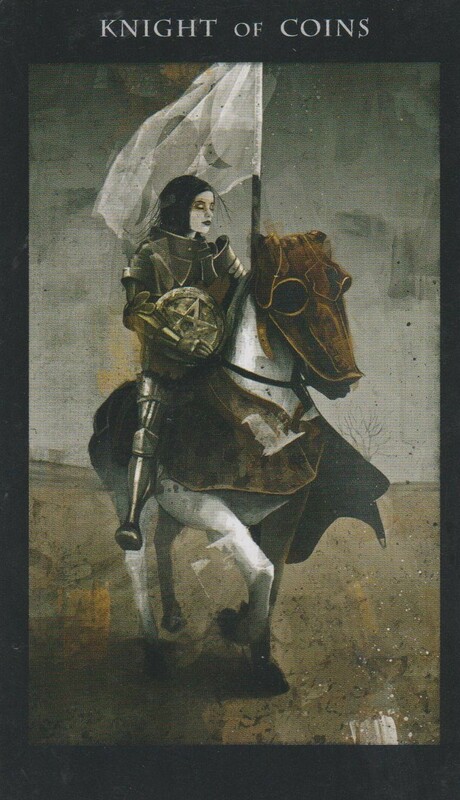 It’s the 50th week of the year and the card of the week is the Knight of Pentacles. As the year unfolds, we are asked to look back on the journey and consider our victories and our losses. This year has been quite the journey through the stars and we’ve seen sine major shifts since the August Eclipse. We’ve seen a lot of clearing out of stagnation as well. As heavy Saturn prepares to shift into it’s home sign of Capricorn, we are finally seeing all the gains that we’ve experienced not just this year but since 1988. It’s not a coincidence that we have the appearance of 3 Aces this week marking the kick off of major changes and new beginnings heading our way. But first we have to take the cosmic garbage out to the curb for Mercury Retrograde to take to the dump for us. This is a time to get rid of what you don’t need to make room for what you want to draw in as you remodel your life. The number of the week is 5, a number that reminds us that even though it’s a challenge to let go, when you overcome that heavy weight, you show yourself how strong you are. Mantra: Get strong and carry on. 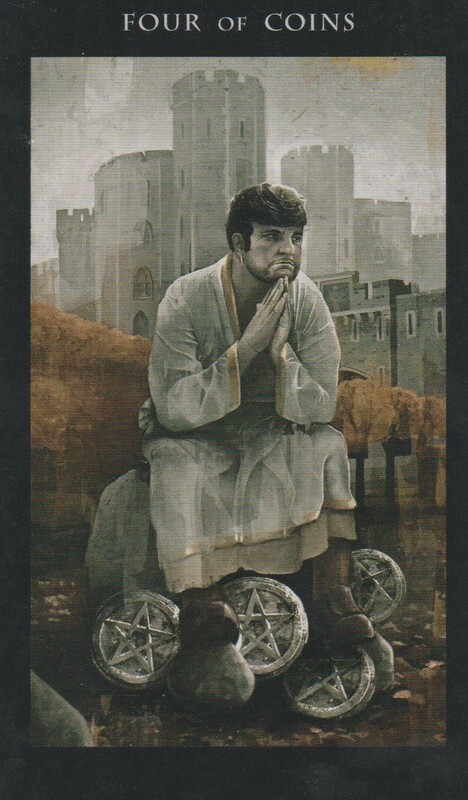 The Ace of Pentacles is as card of new beginnings in abundance. Like a green shoot poking out of the soil, look for the signs that something special has begun. Moon sextile Venus at 10:42 PM PST 10:42 PM PST will bring love, creativity and happiness to your evening. The Moon is in the balanced sign of Libra for the day, setting us up for a fairly uneventful but pleasant day. 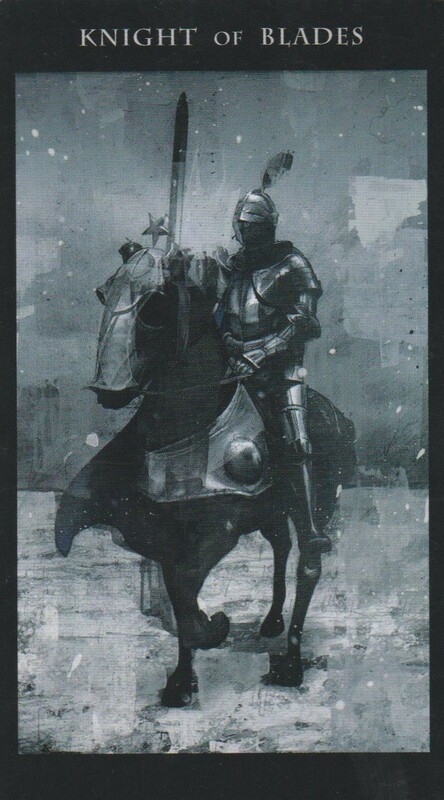 The number of the day is 6, a number of victory. Mantra: My garden is growing. 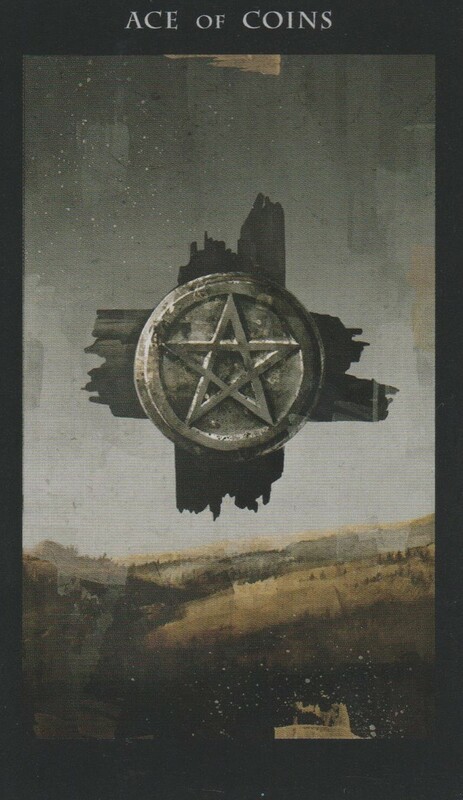 The 4 of Pentacles is a card of stability. You are being provided for and you have exactly what you need. You may want more, but you’re not suffering. If you feel there are blocks on your abundance, ask yourself what is holding you back. Moon square Pluto at 7:09 AM PST is a transit of emotional confrontation. Ask yourself if what you want is actually what you need. Moon sextile Sun at 12:39 PM PST is a happy transit that could find you feeling quite satisfied with where you are in life right now. Moon sextile Mercury at 1:32 PM PST is a transit of flowing communication. But Sun conjunct Mercury at 5:49 PM PST could bring distracting thoughts that disrupt the flow put in place by the previous transit so make sure you bring your focus back to center if you are having a hard time paying attention to what others are saying. Moon opposition Uranus at 7:49 PM PST is a volatile transit that could bring explosive energy that causes uprooting change. If you’re happy with how things are, resist the urge to fight change and let what happens come to be. The Moon is still in the balanced sign of Libra so know that everything that happens today is fair and just. The number of the day is 7, a number of embracing life’s mysteries. Mantra: A change requires a sacrifice. 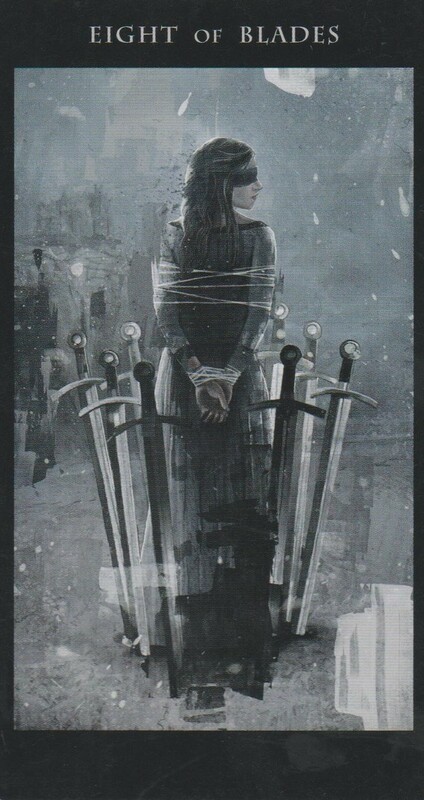 The 8 of Swords is a card of being blinded to the truth. It’s time to open your eyes and see that what you seek is in your hands and your hands only. Moon sextile Saturn at 4:27 AM PST is a serious trasit that allows you to accept the reality of things and move forward from there. Moon conjunct Mars at 11:23 AM PST may find you lashing out after the reality of what you accepted sets in. Allow yourself to experience the feelings and then let them go. The Moon is void of course in Libra from 4:27 AM PST to 5:59 AM when She enters the stinging sign of Scorpio. The truth may hurt but if we didn’t feel pain, we’d never know anything was wrong. The number of the day is 8, a number of karma. Mantra: Taking responsibility is easier than feigning ignorance. 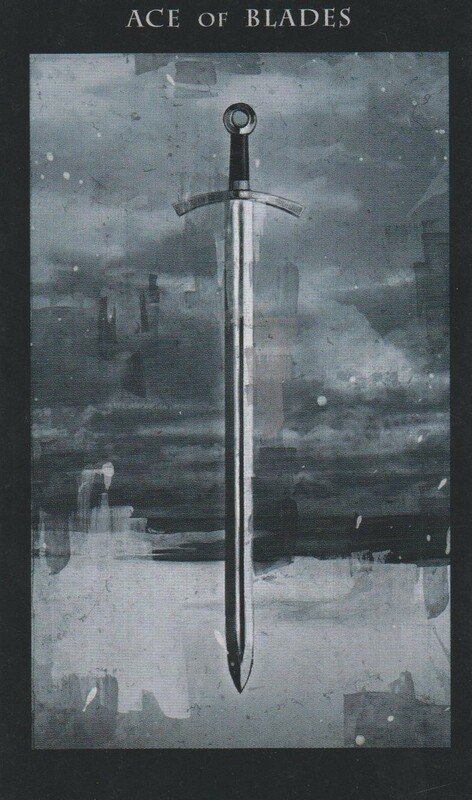 The Knight of Swords is a dynamic character that jumps right into life without thinking twice about what’s ahead. Consider your actions before acting today. Moon trine Neptune at 4:40 AM PST is a psychic intuitive transit will reveal mysteries to you if you are open to it. Moon conjunct Jupiter at 8:58 AM PST is a transit that brings benevolence but don’t let it go to your head. Moon sextile Pluto at 5:42 PM PST reveals truths that need to come to light. Take time deciding where you want to go from here. The Moon is in the secretive yet stinging sign of Scorpio all day but She does go void of course at 5:42 PM PST. Don’t fight the future. The number of the day is 9, a number of near completion. Whatever has come to light this week has brought new ideas and inspirations like a flash of lightening. But what you will do with this new found knowledge is up to you. Mercury conjunct Venus at 6:09 AM PST could bring the beginning of an intellectual love affair. If you love someone tell them. This transit also brings a general appreciation of the beauty in our world. The Moon is void of course in Scorpio until She enters Sagittarius at 5:07 PM PST. You’ll be able to approach the shifting energy in the air with a good attitdue. The number of the day is 1(0), a number of endings becoming beginings. Mantra: The inspiration strikes like lighting. 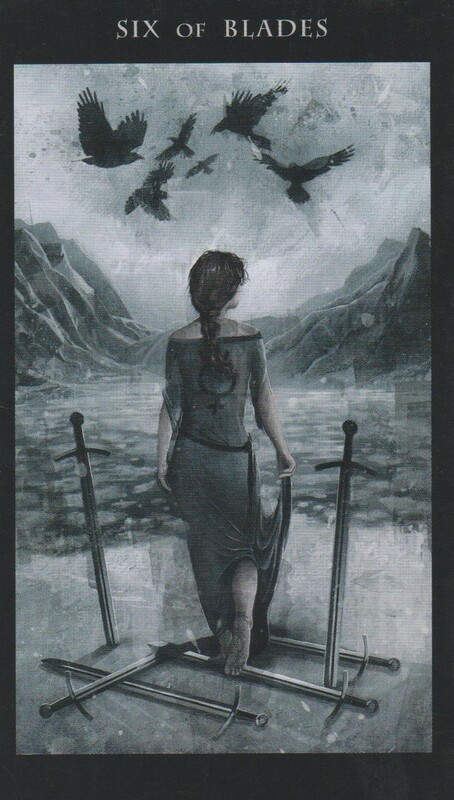 The 6 of Swords is a card of moving on to better things. Know that the past will always be part of you but you don’t have to take it with you. Sun trine Uranus at 3:27 AM PST is a transit of self-discovery. This expansive energy will give you all the energy and courage you need to make breakthroughs. Since it’s Mercury Retrograde, these breakthrough will most likely revolve around things that you need to let go of. Moon square Neptune at 4:28 PM PST is a transit of confused intuition. Rely on your logic instead of your gut today. The Moon is in the energetic and cheerful sign of Sagittarius so you’ll be able to shake whatever it is holding you back with ease. The number of the day is 2, a sign that this will probably involve relationships. Mantra: Let it go, let it flow. 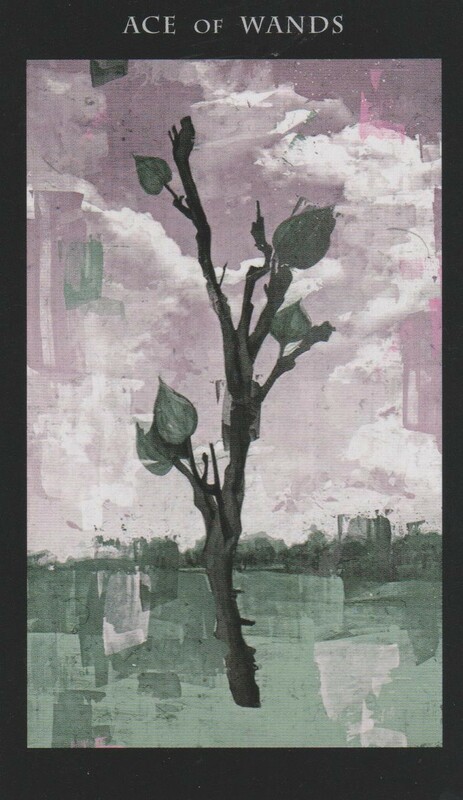 The Ace of Wands is a card of passionate sparks. Whether it be for person or for a new hobby, job, interest or even the Divine, if you cleared what you needed to yesterday then you will feel that spark today. Moon conjunct Mercury at 12:56 AM PST is a transit of being on the same wavelength as others. See what these connections spark. Moon conjunct Venus at 10:34 AM may leave you feeling clingy. Relax and enjoy the beauty of it all. Moon trine Uranus at 6:46 PM PST is a transit of world shaking revelations. Be open to what comes your way. Moon conjunct Sun at 10:30 PM PST brings the last New Moon of the year, New Moon in Sagittarius. It’s the perfect time to set intentions and get a head start on your New Year’s resolutions because Full Moon is New Year’s Day. The number of the day is 3, a number of triangulation. This entry was posted in art, Astrology, Dakness of Light Tarot, dreams, Mercury Retrograde, mysticism, mythology, numerology, occult, spirituality, Tarot, tarot class, Uncategorized, Uranus Retrograde, witchy, Writing and tagged abundance, art, astrology, card a day, divination, dreams, empowerment, inspirational, love, magick, manifestation, mantra, meditation, Mercury Retrograde, metaphysical, motivational, mysticism, numerology, occult, pagan, predictions, psychic, self empowerment, self help, spiritual, spirituality, tarot, tarot reading, tarot weekly forecast, wicca, witchcraft, witchy, writing. Bookmark the permalink.